The digital world as we know it is changing. Net neutrality Net Neutrality Explained: This Is What's Going to Happen to the Internet Net Neutrality Explained: This Is What's Going to Happen to the Internet Net neutrality is under attack again, and it's not looking good. Here's what you must know about the repeal of net neutrality and what it means for the web. Read More , the sole principle that protects the free and open internet is under attack. Several European governments have passed draconian internet surveillance laws in recent years. Does that mean that soon more and more countries will join China in building their own Firewalls? Or do we still stand a chance in this war against government authorities trying to control everything you do and say online? Telegram, the encrypted instant messaging app has been under attack from Russian authorities. Where does this development put us and why should you care? For a while, WhatsApp has dominated the instant messaging scene. However, between the users’ privacy concerns, and the messenger’s security threats Is WhatsApp Safe? 5 Security Threats Users Need to Know About Is WhatsApp Safe? 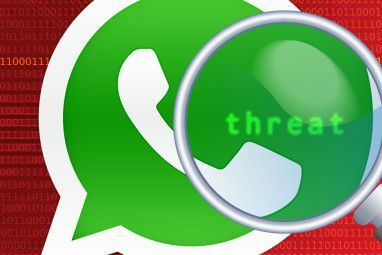 5 Security Threats Users Need to Know About WhatsApp is the biggest name in messaging apps, and scammers abound. Is WhatsApp safe? Here's what you need to know. Read More , WhatsApp has lost its prime position in favor of Telegram. Created by Pavel Durov, the guy behind the top social network in Russia called VK What Is VK? 10 Incredible Facts You Should Know About Russia's Facebook What Is VK? 10 Incredible Facts You Should Know About Russia's Facebook If you live in Russia, you're far more likely to think of the Russian social media website vk.com (formerly known as VKontakte) than Facebook. 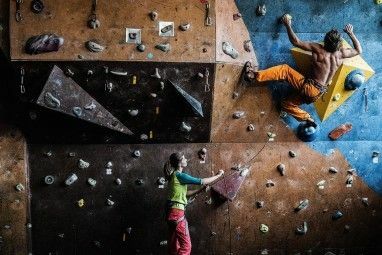 Here are some amazing things to know about VK. Read More (aka “Russia’s Facebook”), Telegram is an encrypted instant messaging app. Its main selling point is its security. The app’s developers say that Telegram is all about “taking back our right to privacy”, and the security specs show that they deliver on this promise. How does Telegram provide this security though? There’s an option of starting a secret chat with your contacts, which means full end-to-end encryption. When you use a secret chat, Telegram never receives an unencrypted version of your message. You can also set a self-destruct timer, make encrypted voice calls You Can Now Make Encrypted Voice Calls Using Telegram You Can Now Make Encrypted Voice Calls Using Telegram Telegram may be a little late to the voice-calling party. However, Telegram's focus on offering end-to-end encryption means it's bringing security to said party. Read More , and even confirm with your contacts that you’re using the same encryption key to increase security. Just about as much security as you could ask for in messaging. Why Did Russia Ban Telegram? Our policy is simple: privacy is paramount. Public channels, however, have nothing to do with privacy. ISIS public channels will be blocked. It comes as no surprise that Telegram has been downloaded and used in countries all around the world where people suspect that their messages could be monitored. And Russia is, of course, one of those countries. Russia’s first major attack on users’ online privacy was the VPN ban in November 2017 Russia's VPN Ban: What Is It and What Does It Mean for You? Russia's VPN Ban: What Is It and What Does It Mean for You? Millions of people around the world use VPNs to protect their privacy while online. But some states are moving to block VPNs, banning their usage. The latest is Russia -- can you use a VPN... Read More . Russian internet regulator Roskomnadzor currently maintains a list of blacklisted sites. The list that Telegram was destined to join. But why? Blame the app’s effectiveness in pursuing their original goal—shielding its users from the “Big Brother”. When the app’s developers refused to hand over encryption keys to the Russian government, the latter approached a Russian court. The official reason for the ban was Telegram being a tool used for organizing terrorist acts. But isn’t that what awaits any end-to-end encrypted messaging service? So what could be the real reason for blocking Telegram? Is it another attempt by the Russian government to get web control? In reality, there might be more than one reason why Telegram poses such a threat to Russian authorities. For example, it looks like not all users value Telegram for its secure one-on-one communications. A lot of people go on the app for channels. Some of them belong to liberal media, and Telegram is one of the few places where the state censorship can’t reach them. 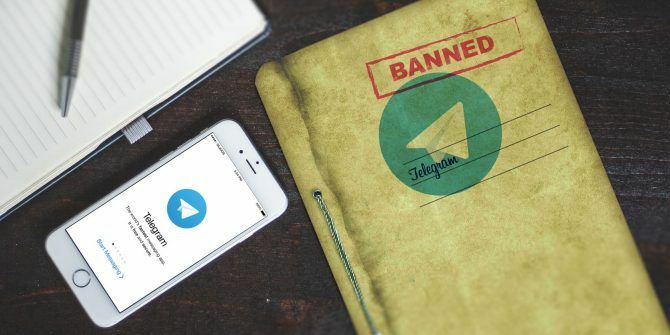 After literally months of battles between Telegram and Roskomnadzor over the issue, in April 2018 a Russian court has ruled that the app must be blocked in the country. Nevertheless, Telegram is still up and running. Which means Russia’s attempts to block the app isn’t going too well. In fact, two weeks after Roskomnadzor began trying to stop the users from accessing the app, they managed to block huge chunks of the internet, but not Telegram. How come this is proving so difficult? After the ban, Roskomnadzor identified the IP addresses that were related to Telegram and ordered internet service providers to block them. However, Telegram managed to get around it by using a technique called domain fronting. Domain Fronting means hosting a service on another company’s system. That way you can hide the traffic’s source. The idea behind domain fronting is that in order to block a single site, you’d have to block the rest of the internet as well. 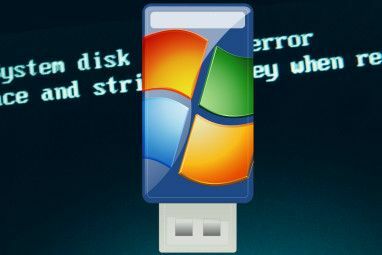 This technique is often used as an anti-censorship tool. In the first few days of Telegram’s ban, the IP addresses of Facebook, Twitter, a Russian search engine Yandex, and a Russian social media website VK were added to the national registry of banned sites. Meanwhile, Telegram turned to domain fronting using Google and Amazon’s hosting services. Remember that in order for a state to block the app’s communication, they need to block the entire hostname. In this case, it would be google.com or amazon.com—a rather big piece of the internet. Unfortunately, it seems like Russia doesn’t have a problem with that. Both Google and Amazon have started implementing measures that will block apps from domain fronting. This is not the first time Russia banned important websites and apps. Russian court can order web hosting companies in the country to remove websites from their servers. To name a few, LinkedIn was banned in 2016, and messaging app Zello was also blocked in 2017. Whatever communication you like; messages, voice or video calls, TamTam Messenger will keep you connected even when there is a slow internet connection. In attempts to reinforce the block, Russian state-backed media cooked up some scare stories. Now, if there’s a news piece related to acts of terrorism in any way, the media will say they are all “organized using Telegram”. The second step is providing Russians with a “solid Telegram alternative”—TamTam chat. Sadly, TamTam has a long way to go before it can compete with Telegram. A Russian company Mail.ru tried to clone Telegram with this unimpressive chat app and heavily pushed it on the media ever since. It’s not an unexpected move since TamTam for Russian authorities is a domestically-based, easier to control Telegram alternative. Funnily enough, TamTam also went down for a while due to the efforts of Roskomnadzor in Telegram ban. They joined a couple of major banks and some retail chains in malfunctioning. Following the Russian ban, Iran ordered a block on Telegram as well. They also created their own Telegram alternative, known as Soroush. However, as of today, users in both Russia and Iran continue using Telegram. Even when it means investing in a quality VPN like ExpressVPN or CyberGhost. As a result of the ban, more and more internet users are switching to VPNs, which enables them to continue using Telegram. That also seems to be the response that the authorities of authoritarian countries get when they attempt to gain more control over the web. But how far are they prepared to push? So far Telegram keeps standing. Furthermore, the app managed to retain their users, proving that people still value online privacy and security Why Online Privacy Matters and 5 Ways to Reclaim It Why Online Privacy Matters and 5 Ways to Reclaim It Privacy threats are all around us. Today, the impact and dangers of online privacy breaches are major. These few resources explain the pitfalls clearly and concisely. Read More . Explore more about: Surveillance, Telegram.